It is our opinion at the Sharon Dawson Web Site that our guests should not have to risk their privacy or personal information just to visit our Web Site or to take advantage of the free information we offer. When collecting information for the purposes of dispensing reports or other information, from the Sharon Dawson Web Site, the information collected will be collected through a secure server for your protection. The Sharon Dawson Web Site will not give, sell, trade or otherwise give out your personal information that you submit to us in good faith. The Sharon Dawson Web Site by nature has many links to other related Web Sites, vendors and points of information for the convenience of our visitors. The Sharon Dawson Web Site cannot control, or be held responsible for, the placement of cookies by one or more of these other sites. We at The Sharon Dawson Web Site have a very simple policy regarding "spamming". DON'T DO IT! We will use whatever reasonable means necessary to track "spammers" that use our facilities for the purpose of spreading their cyber garbage and administer any penalty possible to curb such activity. 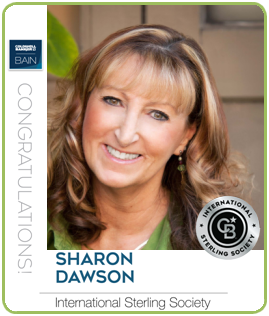 For questions or comments regarding our On-Line policies, please contact our Webmaster at webmaster@sharondawson.com - Thank You!